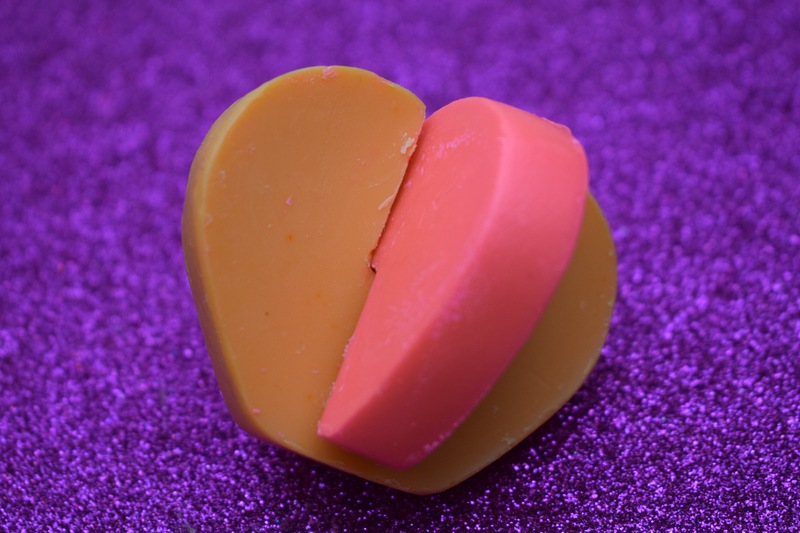 When I saw the list of products that were being released as part of the 2017 Valentine’s Day the one that I was most excited about trying was the Two Hearts Beating As One bath melt. I love the concept of bath melts and they one one of my favourite products produced by lush, so I always get a little extra excited when I see a new one being released. 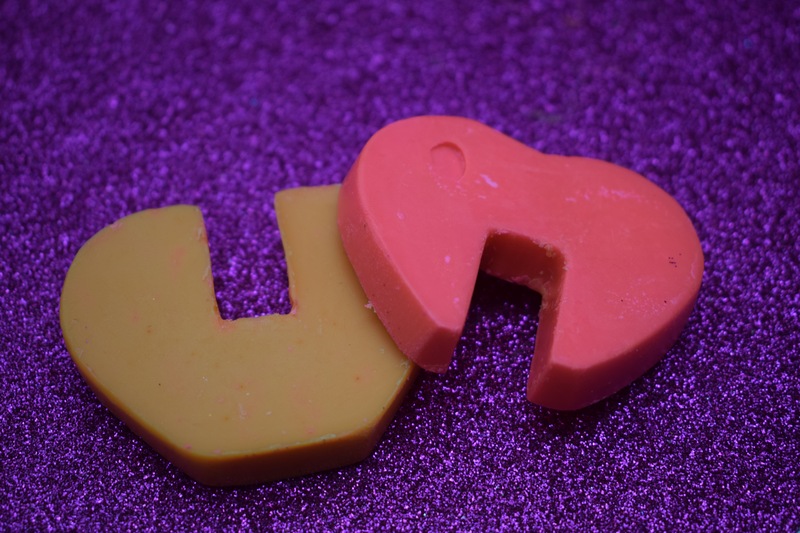 The Two Hearts Beating as One bath Melt has a lovely bright and fresh design making it perfect to be part of the Valentine’s Day range. 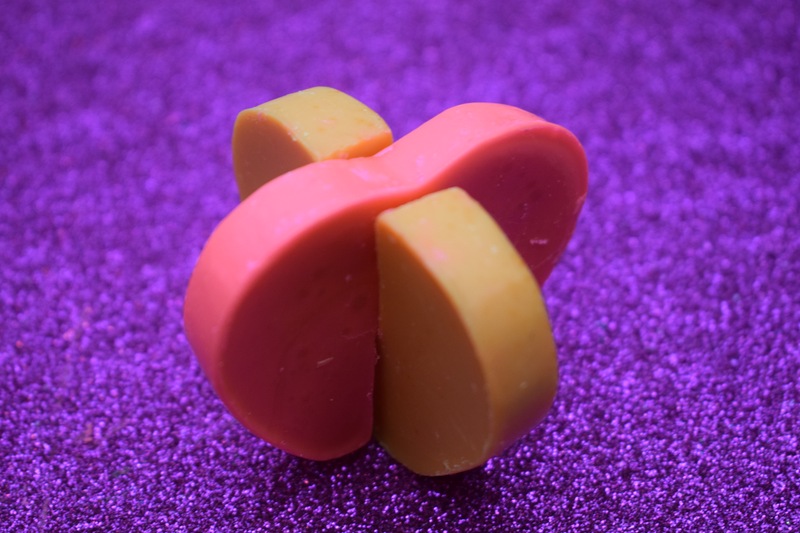 This bath melt contains two individual hearts ( a magenta and an coral one) that link together to form one big 3D heart. The great thing about this bath melt design is that the individual hearts can be used separately to create two stunning baths or they can be linked together to create one super indulgent bath. The scent of this bath melt is exstrenly romantic. Containing rose absolute and ylang ylang oil this creates a beautiful floral scent. I would never normally head straight for a floral scented product, but this bath melt really is gorgeous and worth a try. Once popped in the water the bath melt floats across the surface of the water. 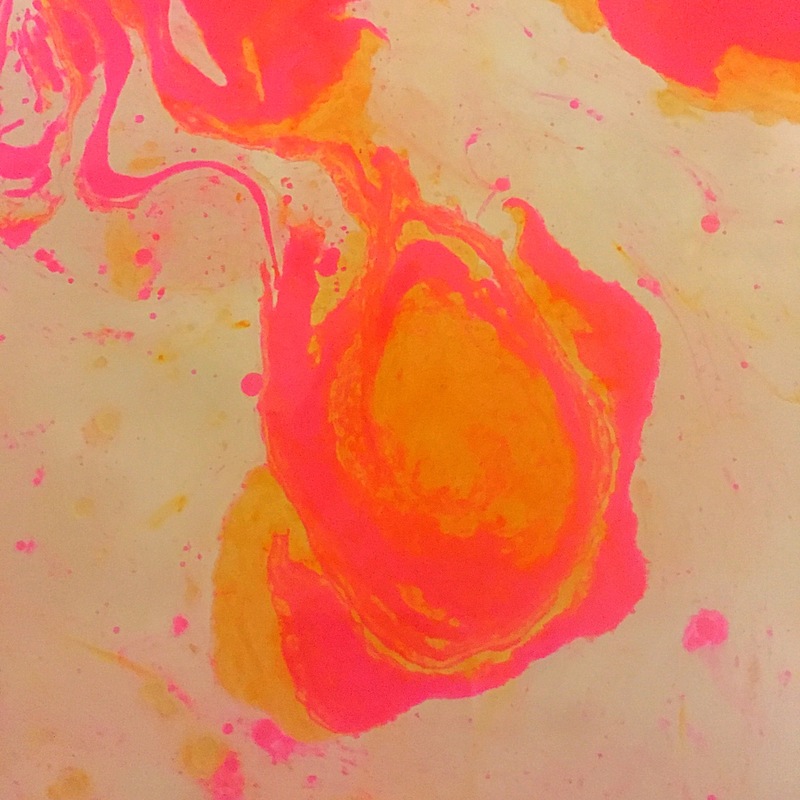 As it slowely melts beautiful coral and magenta colours swirl across the surface of the water to created a stunning picture. 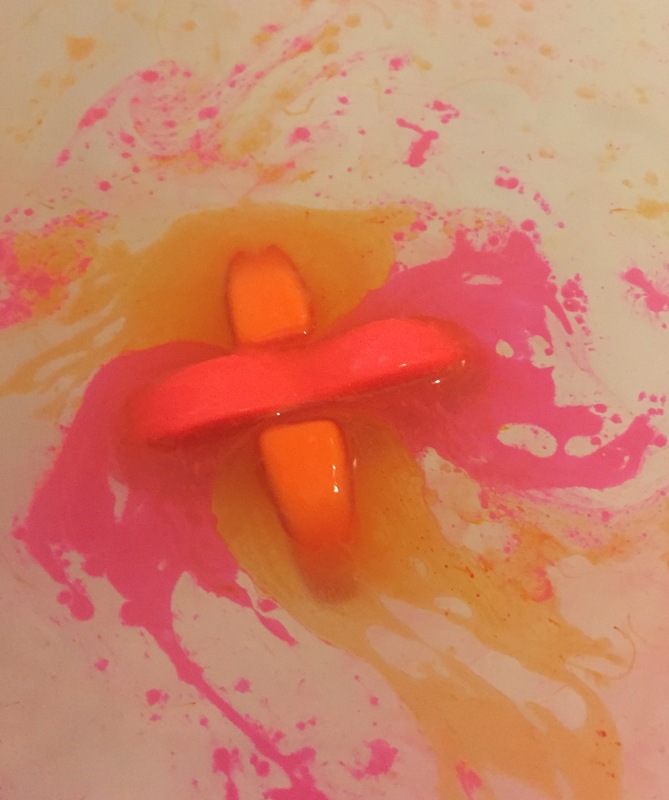 Once swirled into the water the oils turn the water a beautiful pinky orange. The inclusion of cocoa butter and Almond oil makes this product very conditioning for the skin. The oils and butters add lots of moisture to the skin and leave the water feeling very Luxurious. 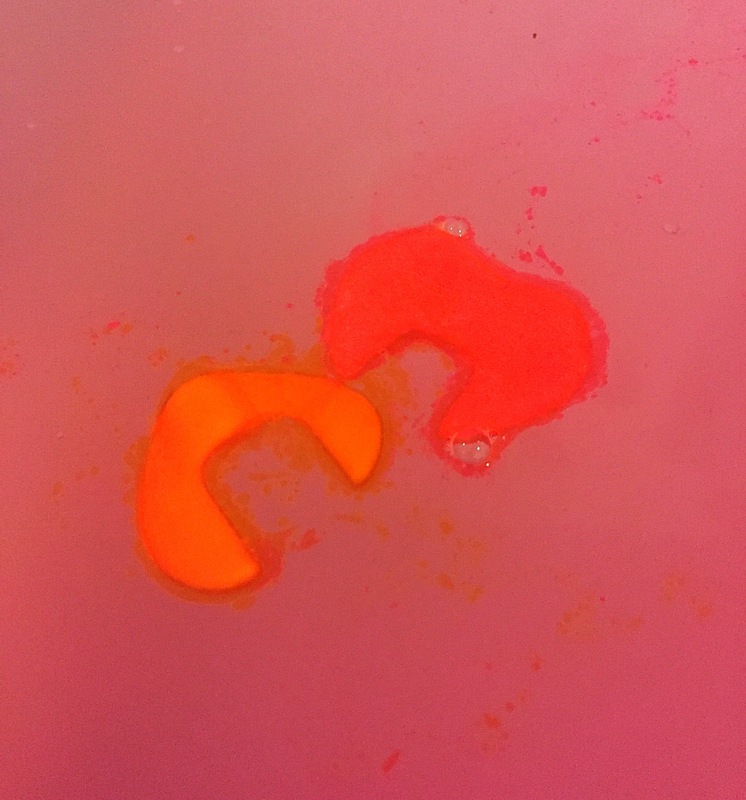 If your gonna try anything his Valentine’s Day I really recommend giving the Two Hearts Beating as One bath melt a try. I will defiantly be stocking up on a few of these to last me the year. This one really makes me wish i had a tub, i love the design!